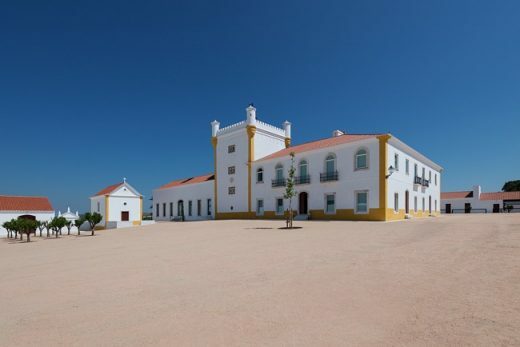 Situated deep in the idyllic and peaceful Alentejo wine region of Portugal, the Torre de Palma Wine Hotel is, for the first time, welcoming guests to experience the ultimate wine tasting and adventure holiday. 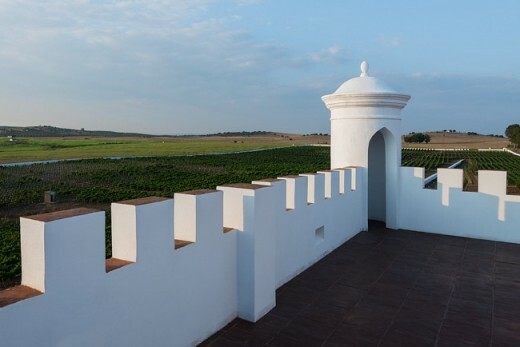 Guests are invited to experience the majestic history of the manor house, its vineyards and winemaking process and the many adventurous activities on offer. 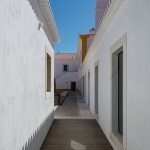 The hotel has been painstakingly restored to fuse past and present offering luxury alongside a tradition. 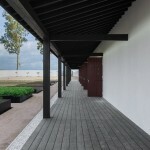 The hotel was renovated with a view to the future; sustainability informed the choice of materials, such as Kebony wood, and renewable energy sources are used throughout. 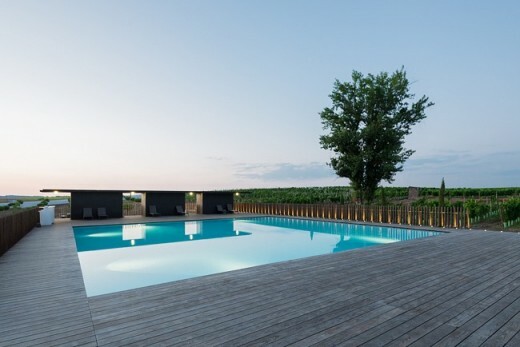 Aside from the draw of the vineyard, grape-picking, wine tasting and wine making experience, the hotel allows guests to explore the beauty and wonder of the surrounding landscape through its canoeing, hot air ballooning and white water adventures. 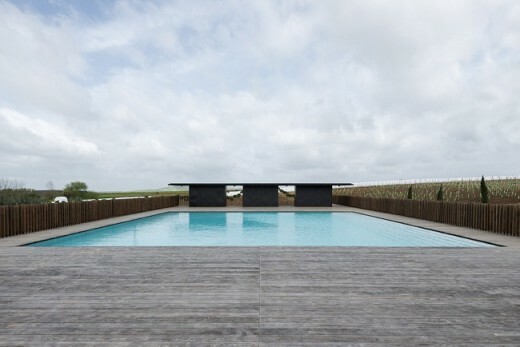 After the daytime activities guests can enjoy the comforts of the hotel, which offers a pool, cinema, bar and the Basilii Restaurant, which uses seasonal produce harvest from the vegetable garden for the decadent tasting menu. 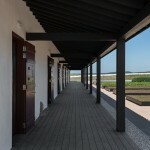 For those wanting to relax they can enjoy the hotel’s luxurious Alentejo spa, inspired by the nearby Torre de Palma Roman ruins. 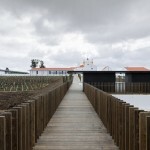 The architecture tells the history of this magical place, which dates back to 1338, when the land was first owned by the Portuguese Crown and then subsequently by noble families who were responsible for making the area into the celebrated wine growing region it is today, which is responsible for half of the country’s wine production. 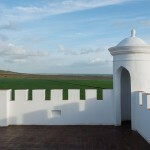 A treasure lost in time near the village of Vaiamonte, the building has tower and ramparts offering guests spectacular views over the Alentejo landscape. 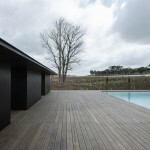 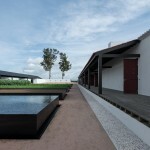 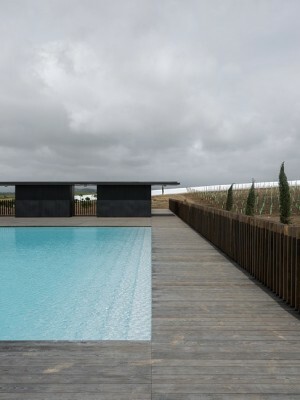 The land around the complex, designed by the architect, includes a vineyard by a historic levada – a traditional irrigation trench – and a new swimming pool, decked in Kebony wood, the sustainable alternative to tropical timber.